 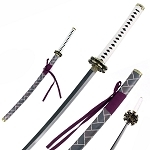 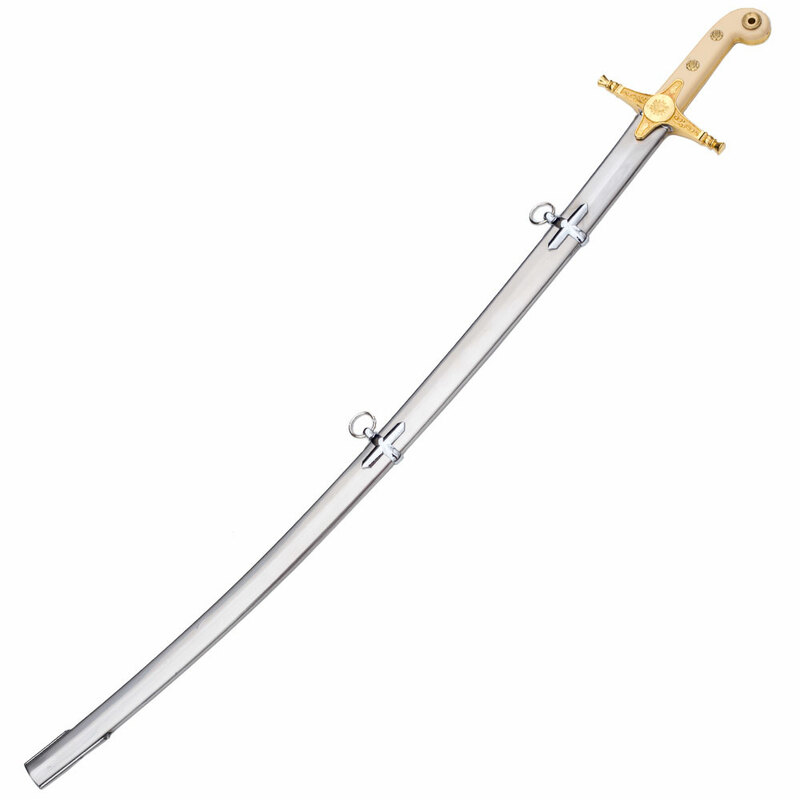 General officers sword is a symbol of power. 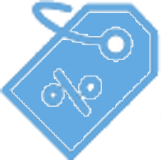 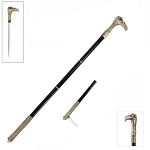 Its elegance and ornamentation tell the new soldiers that the person carrying it is higher than them in rank. 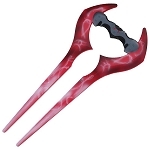 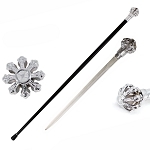 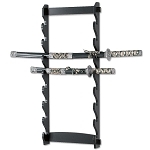 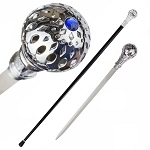 Display your elegance and assert your authority with the General Officer's Sword. 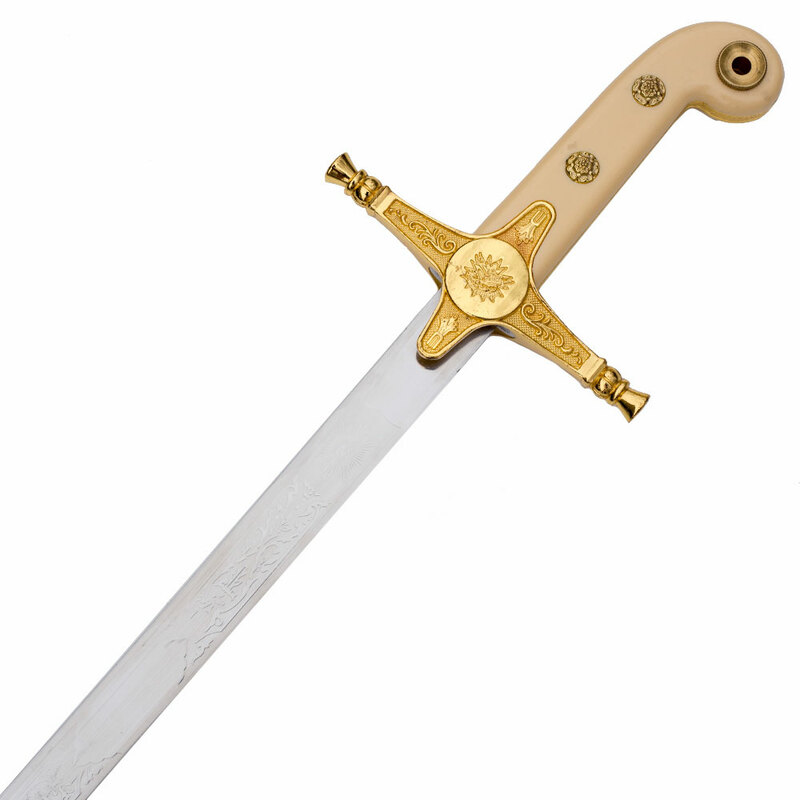 The General Officers Sword has a finely etched and distinctively curved single-edged blade. 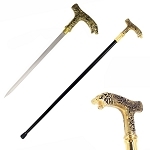 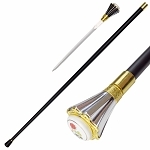 It has a crossed hilt made of faux ivory, featuring golden finish ornamental mounts. 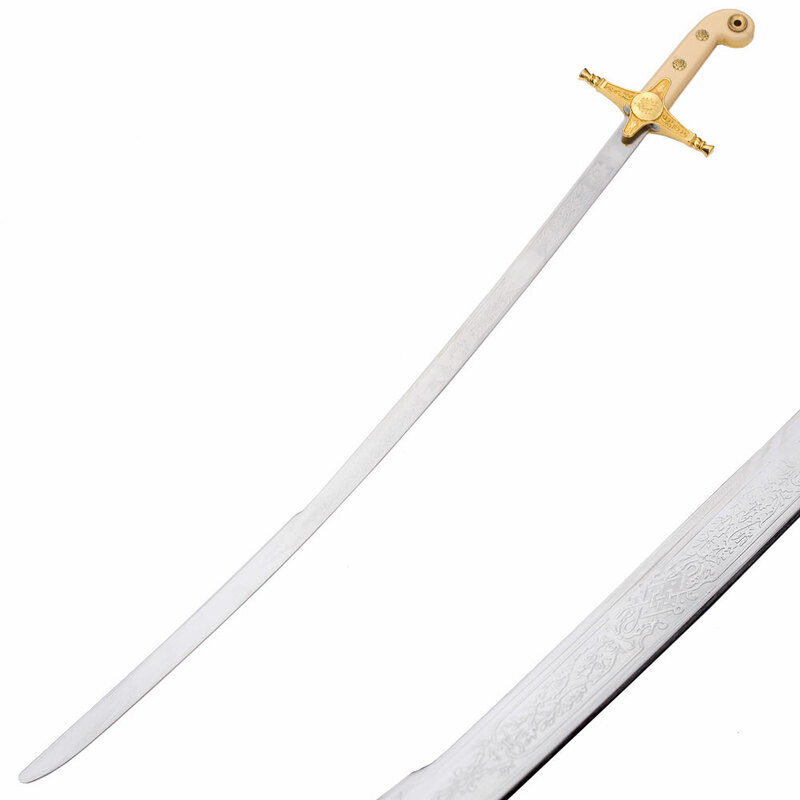 The brass finish guard of the sword is also etched throughout. 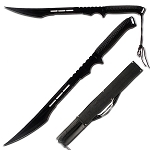 The steel scabbard is nickel-plated with two loose rings on cruciform bands and a square shoe. 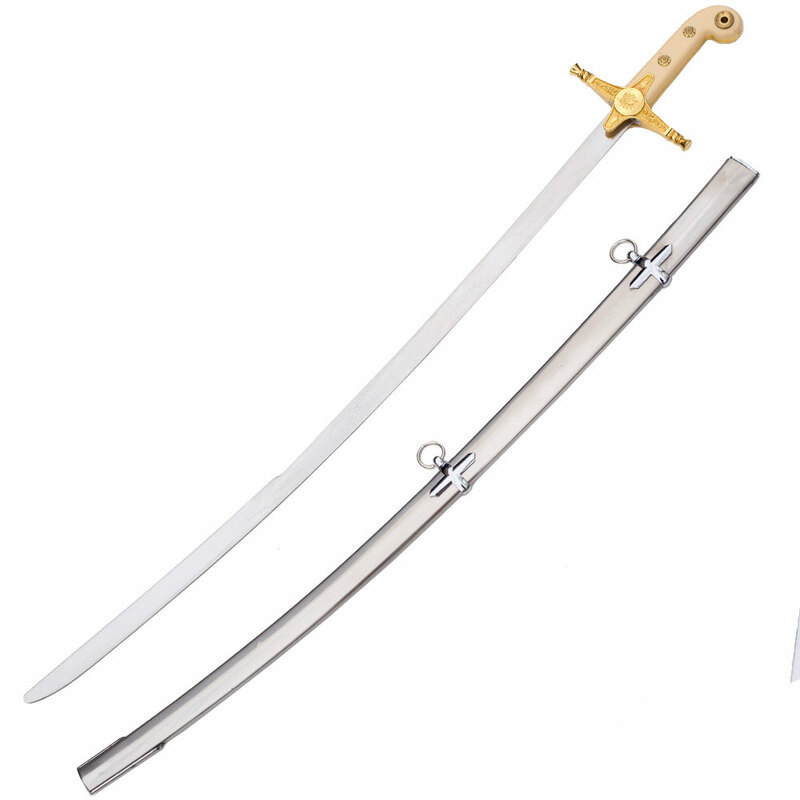 These swords were mostly carried as dress swords by officers of most light cavalry and hussar.